This week in Korea, the 16 countries of the Regional Comprehensive Economic Partnership (RCEP) agreement are meeting in Incheon for the 20th round of negotiations on this multilateral trade deal. While the negotiations are being held with little spotlight, the agreement is one that could affect half of the world’s population. The RCEP, comprising Korea, China, Japan, India, Australia, New Zealand, and the 10 Association of Southeast Asian Nations (ASEAN) members, may be one of the most significant regional trade blocs to emerge in recent years. However, according to a leaked draft of RCEP’s intellectual property (IP) chapter, some parts initiated by Korea and Japan include provisions that threaten to undermine affordable access to life-saving medicines and vaccines. These IP provisions go far beyond the current requirements of the World Trade Organization (WTO) and would extend pharmaceutical corporations’ patent terms on pharmaceuticals beyond the usual 20 years, and also would impose data exclusivity terms that delay market entry of price-lowering competition from other manufacturers. The RCEP draft, as it currently stands, could adversely impact medical humanitarian action and treatment for patients all around the world. MSF has witnessed the negative impact of monopoly pricing on life-saving medicines and vaccines in its medical projects all over the world. For instance, the high prices of vaccines against pneumonia – the world’s leading killer of children under 5 years old – can hamper immunization programs. The balance between protection of IP and promoting public health has long been broken, with many life-saving medicines being unaffordable in developing countries due to IP monopolies that delay price-lowering competition. However in recent years, developed countries too are struggling to pay the high prices charged by pharmaceutical corporations, which use exceedingly broad monopolies to keep competition at bay. One such example is the exorbitant prices of hepatitis C drugs, which is leading countries like the US and some members of the EU to ration drug prescriptions, limiting patients’ access to treatment and stunting countries’ public health responses to the disease. In many countries, unmerited granting of intellectual property is blocking early introduction of new drugs and vaccines for life-threatening diseases that are affordably priced. This impacts not only medical humanitarian actors like MSF globally, but also hinders Korean patients and patients around the world from accessing more affordable medical products and treatment. All the more, current IP rules block Korean companies from being able to introduce drugs and vaccines in a timely manner. Thus, the burden of the broken balance falls not only on our patients but even on the Korean pharmaceutical industry that is aspiring for a more competitive market. In August, the Indian patent office granted a patent to the US pharmaceutical corporation Pfizer for its pneumonia vaccine PCV13 product, marketed as Prevnar13. Enforcement of this patent could block South Korean and Indian manufacturers from supplying their follow-on versions of this vaccine - which protects against pneumococcal bacteria - to those who need it the most: children. Pneumonia kills almost one million children every year, yet one third of the world’s countries have not been able to introduce PCV, largely due to its high price. In 2016, MSF challenged Pfizer’s unmerited patent claims in India, after the patent was revoked by the European Patent Office (EPO). Korean companies too have challenged the patent with the aim of being able to market a more affordable PCV. While the legal challenges may ultimately override the unmerited patent, the legal uncertainty is already causing delay in development and introduction of PCV13 by Korean manufacturers, and we increasingly see unwarranted patents being used as a tool to maintain and extend monopolies through ever-greening strategies. Korea is currently relying on imported PCVs despite Korean manufacturers having the capacity to develop and produce PCV vaccines, but unmerited patents held by global pharmaceutical corporations stand in the way of this local production. 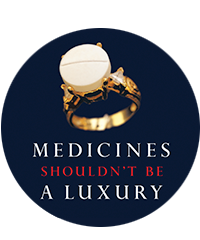 It is ironic that in this global crisis of spiraling costs of health care due to monopoly pricing of pharmaceuticals, the RCEP negotiators are not willing to address the issue of overly broad patents and evergreening practices that lead to patent offices erroneously granting monopolies on minor or obvious modifications of existing medical products, and in fact are backing pharmaceutical corporations’ attempts to extend the term of such unmerited and spurious patents. 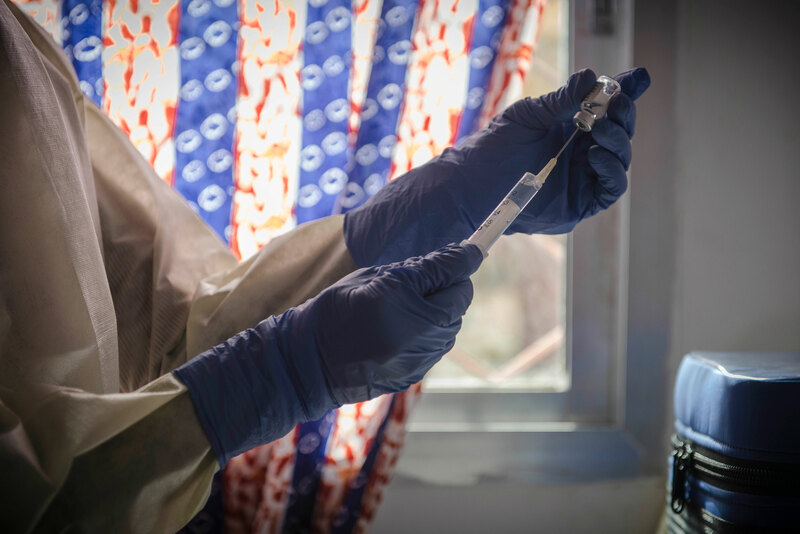 In MSF’s experience, early introduction of generic competition has proven an effective way to reduce prices of medicines including vaccines, and improve access to treatment for the most vulnerable populations dependent on the government to cover their medical needs. MSF began providing antiretroviral (ARV) treatment for HIV/AIDS back in 2000, when the cost of treatment was more than USD 10,000 per patient per year. Today, MSF treats 285,000 people in HIV/AIDS projects in 21 countries, mostly with generic drugs produced in Asia. These generics have reduced the cost of treatment by 99% to around USD 100 per patient per year in some cases, and this dramatic price reduction was possible due to market competition. As MSF, we are appealing to Korea to withdraw the proposals which will restrict people’s access to affordable generic medicines. The negotiators must protect public health safeguards that enable competitive corporations like those in Korea or like in India, that is known as the “pharmacy of the developing world”, to keep developing and supplying competitive life-saving affordable medicines and vaccines needed to treat millions of people worldwide.